In the last 15 years MapPoint was often used as a tool to show customer addresses on a map. To start with portatour®, import your addresses from an Excel file with a few clicks. Other sources like Outlook or CRMs are also supported. Additional fields like phone numbers, contact person, business hours, or annual revenue can be imported in addition. 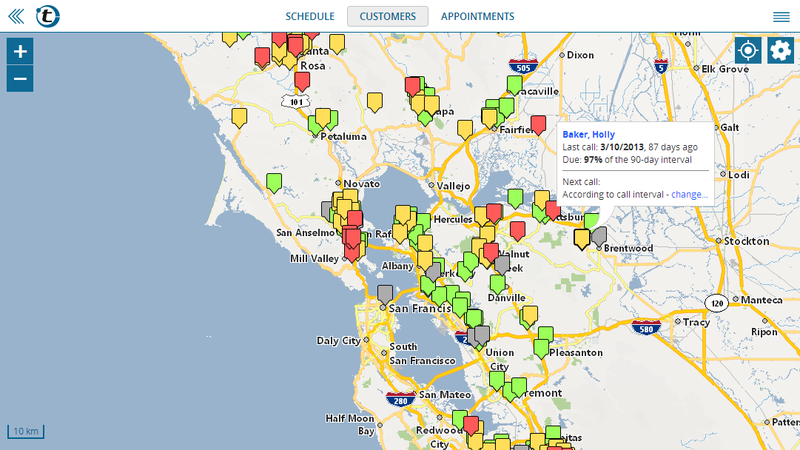 Once imported, customers can be plotted on a map to get an overview. Colors can be used to visualize a specific aspect of the customers, for example revenue. Symbols can be freely assigned to individual customers to highlight them. You can also filter the customers and only show a selection. All together, these are essential features to plan a sales strategy. Until now, you had to wait for MapPoint a long time when it calculated optimized routes with multiple stops. Faced with many addresses, MapPoint could strain your patience for a few hours before returning with a result. Finally, the wait is over: portatour® features a lightning-fast route-planning at the click of a button. It can generate optimized route-plans for up to 4 weeks with more than 100 stops. This takes usually between 2 and 10 seconds – a considerable speed improvement compared to MapPoint. 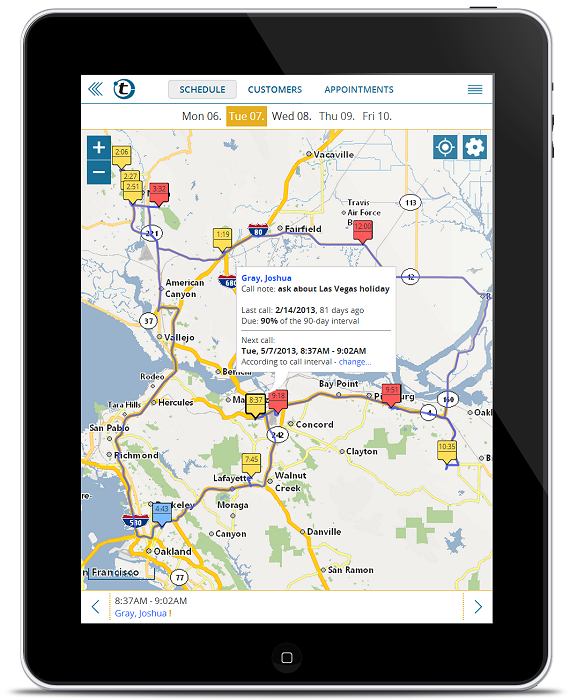 Besides sales territory mapping and route-planning, portatour® offers easy-to-use customer management, call reporting, appointment planning – and over 100 additional features to improve sales force effectiveness. This makes portatour® the best replacement of MapPoint – especially for a salesperson. While Mappoint has been a desktop application, you can access portatour® from PC, notebook, iPad, iPhone, Android and other smartphones and tablets. Switching from Microsoft MapPoint to portatour® is straightforward.